Cell- and molecular biological techniques have had a major impact on experimental neurooncology in recent years; yet we are lacking suitable model systems. Monolayer cell cultures are rapid, reproducible and reliable systems, however, their validity is of major concern. Three dimensional culture systems, especially derived from primary biopsies, match better with the in vivo situation albeit being more tricky to handle. Animal models for glioma have to be orthotopic in order to draw any conclusions; most cell lines implanted into rodents still do not show the typical invasive phenotype. In addition, immunological phenomena have to be taken into account as well as changes of the biological features once cells have undergone the process of any transfection. 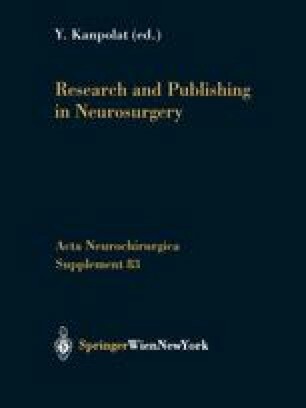 Cell culture spheroid systems neurooncology orthotopic glioma model.